This photo comes from Gladys Wright. She believes this is connected to the Lowe, Hersman and Wagner Families. Please let us know if you can supply any information. ... I am a Lowe researcher in Roane county and have some background in dating photos etc. 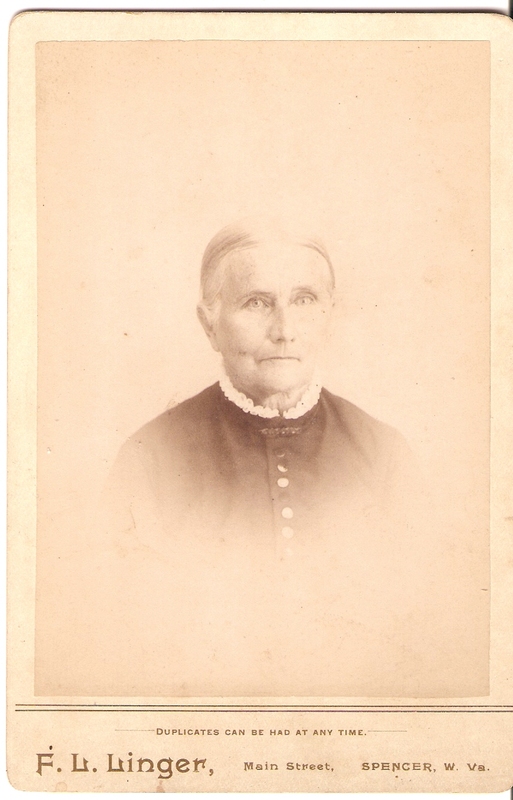 I see that those two photos were made between 1869 and 1874. I checked the 1870 census for all three surnames and in Spencer only the Lowe’s appear. Since the photos were taken in Spencer I do believe this elderly couple probably lived in Spencer. So to narrow it down, I believe they may be Lowes. Hope this helps.